Lezyne LED lights are rechargeable via their integrated USB sticks or the supplied USB cable. 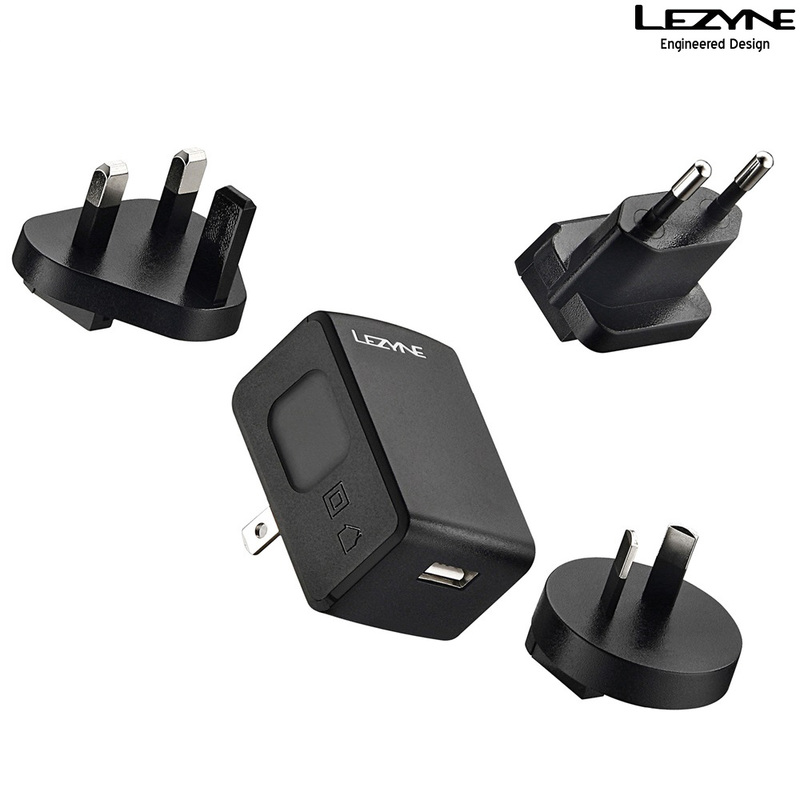 Plug into any powered USB computer port or via wall socket by plugging into the Lezyne wall charger kit. Comes complete with plug fittings for UK (3 pin square) / Europe (2 pin round) / USA (2 pin flat parallel) / Asia-Australia (2 pin flat angled). Spare Lezyne branded USB-Micro USB charging cable. Fits 2012 models MacroDrive / MiniXL / PowerXL / SuperXL / Mega. Keep a spare cable at the office so you can top up the charge on your lights after your commute in. You never know when you might fancy taking the long way home.